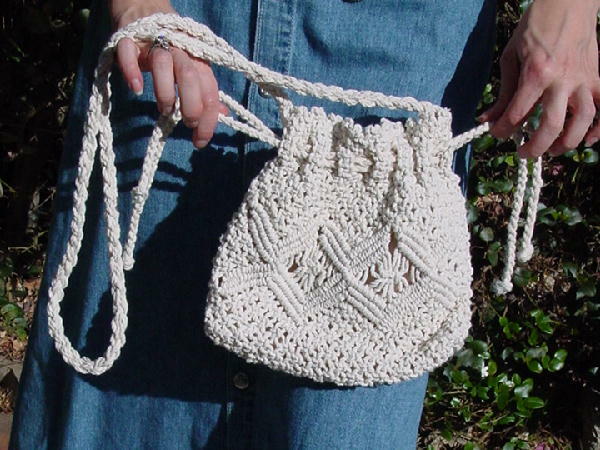 This vintage cotton twine loose knit purse was made in the Philippines. It's in a bone color and has a 45 1/2" long shoulder strap and 4 drawstring side top closures. It's lined in a peachy bone sheer fabric and has an open interior pocket. It was used as a prop in a couple of photo shoots.